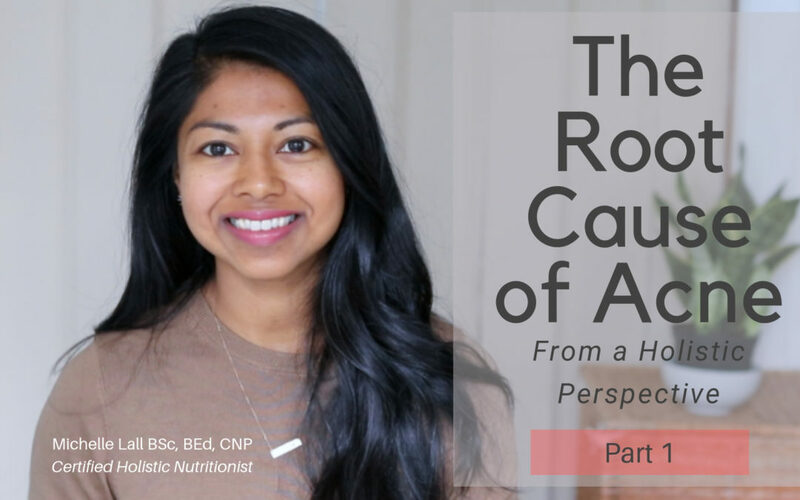 Today I want to talk about the root cause of acne from a holistic perspective. In this video I will dive into what might be happening to create acne. It goes deeper than your skin. In this first part I talk about digestion as a root cause (the other parts will talk about other root causes). This topic is near and dear to me as I suffered with acne as a teen and into my early 20’s. I tried every over the counter product, got prescriptions from my doctor and even saw a dermatologist who prescribed me antibiotics and vitamin A cream. I used theses prescriptions for many years. This managed my acne but did not get to the root cause of it. *As a side note vitamin A is contraindicated for women wanting to become pregnant or who are. So the question would be – why would you use it? It’s harmful to a pregnant body, it’s doing some damage to a non-pregnant one. I’ve always been passionate about health and as I learned more I discovered that acne goes deeper than our skin. Acne is much deeper than we have been conventionally taught. It is our largest organ. An eliminative organ is used to detoxify the body. It removes any metabolic waste and anything else the body deems toxic or unnecessary. So how does digestion relate to acne? If we experience the above they tell us something is imbalanced in the digestive process! This imbalance can be traced back to what we are eating, how we are eating and how we are eliminating. The list above creates digestive distress; gas, bloating, constipation and strains the body. It creates more toxicity in the body and waste products. Food is putrefying in the gut, ie rotting. The liver is the main detoxifying organ. All the food we absorb must pass through the liver before entering our cells. The liver checks everything out to make sure it is safe. It has a hefty job. If we are adding in more toxicity than it can handle or are constipated there is an backlog of toxicity in the liver. The liver dumps waste into the colon but if it is not moving it is reabsorbed back into the body and creates more work. This overburdens the liver. The liver will have a surplus fo toxicity and needs to use other channels to eliminate toxicity and maintain balance in the body. The skin may need to release more toxicity and that is the root cause of acne. You might have a different digestive issue so if you need help please reach out! Skin is our largest organ and it is also one of our eliminative channel. It gets rid of metabolic waste through sweating. Another eliminative organ and our main detoxifying organ is the liver. When liver is overburdened (from the digestive system in this case) it can’t work as well because it is overwhelmed. In the case of acne the skin (another eliminative channel) will need remove more toxicity. THIS is the root cause of acne (for those that get acne and have digestive issues). Stay tuned for part 2 on the root cause of acne, it is an interesting one. Can’t wait to share it! Join and get a FREE gift and weekly inspiration to live your healthiest life. Thanks for subscribing! Your Gift is on it's way. Welcome! I’m Michelle Lall, owner of L.A.L.L. Nutrition. 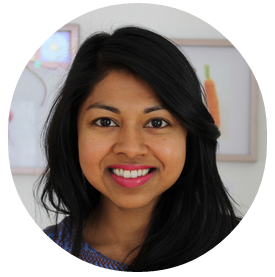 I am a Holistic Nutritionist + Health Educator based in Toronto, Canada. The goal of my business and website is to make you feel colourful, vibrant, alive, happy and to allow you to RADIATE HEALTH from the inside out. I do this through FREE content in the form of articles & vlogs and by offering you individualized private services directly with me. Improve Digestion with these Water Tips! Plus weekly posts to boost your health & beauty.